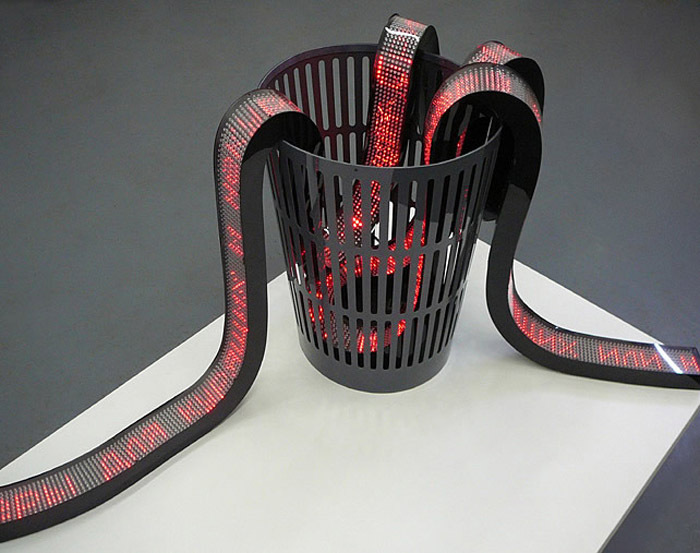 Moscow-based contemporary new media artist Aristarkh Chernyshev creates sculptures that integrate today’s technology while commenting on our obsession with it in a humorous fashion. 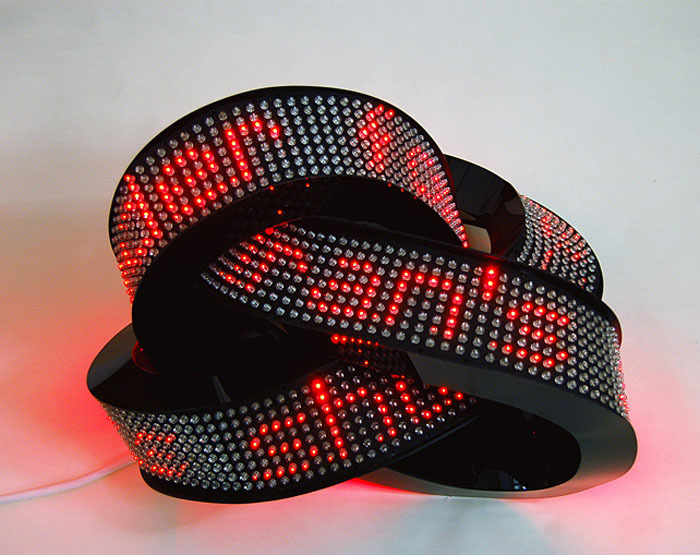 His LED sculptures play with the idea of information overload, in some instances grabbing real-time news feeds from the internet, winding them around the LED lightboard strips through the trash as in his work Urgently! (top two photos), or winding around endlessly in a knot as in Knode (third from top), as well as taking poetic texts and breaking them apart then reuniting them as stock exchange rates in Lyric Economy (second from bottom). 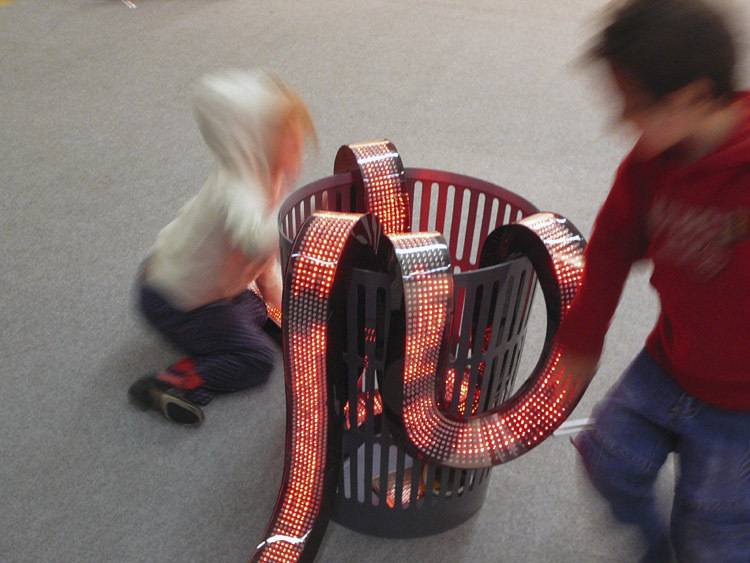 In addition to his LED sculptures, Chernyshev has collaborated with other artists on some fun and interesting interactive pieces. With Alexei Shulgin —the co-founder of their art collective/gallery/creative electronics production company Electroboutique — they created the eyeglasses piece titled The Way I See It! as well as the wowPod, an oversized distorted iPod. There’s lots more interesting work that can be seen on the XL Gallery’s site and the Electroboutique site. Here’s The Way I See It! in action…with a very catchy poppy tune that I, unfortunately, don’t know what it is.